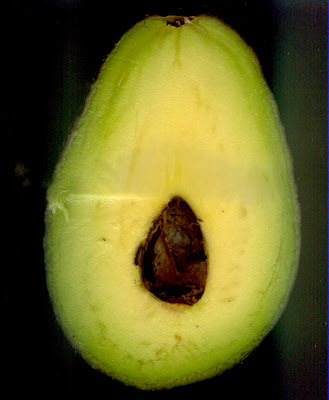 I got this unusually rich and buttery avocado at Integral Yoga on West 13th Street. It had no stone at all, just a little almond-sized hollow in the center. Never saw that before. wow! never saw that before either!